Starting today, we’re adding support for the web clipboard to the embedded drawing editor so that you can work with drawings within documents, spreadsheets, and presentations. 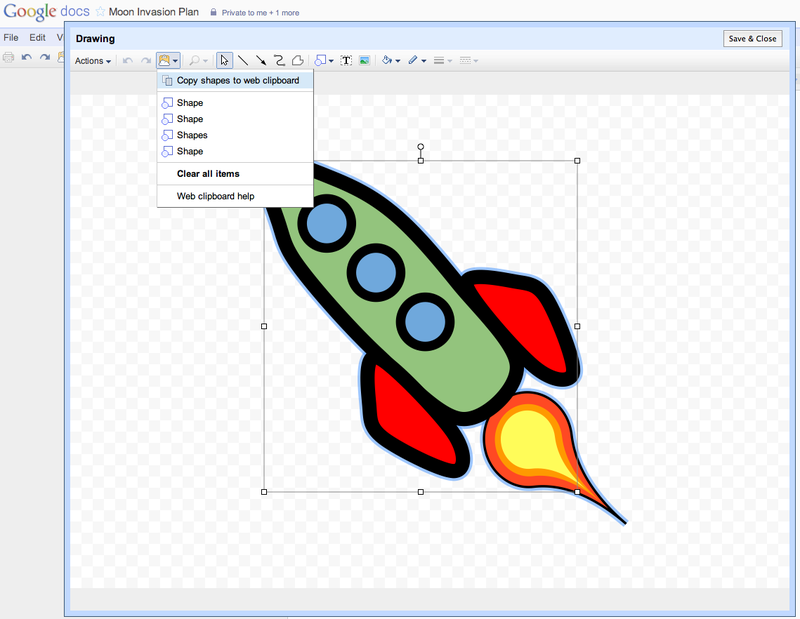 This means that you can now copy shapes from one document and paste them into existing drawings in another doc. 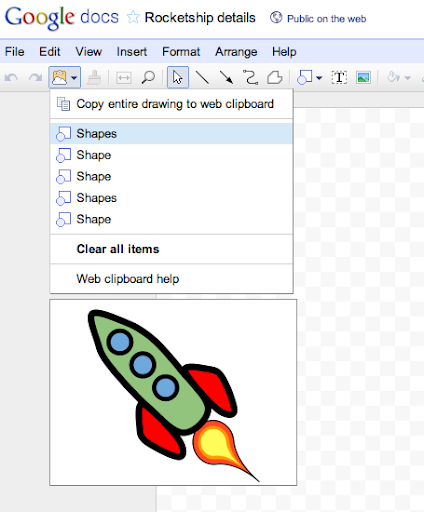 You can also use the web clipboard to move a drawing from a document into the standalone drawing editor. To try this out, open a new document and go to Insert > Drawing to create a drawing in the embedded drawing editor. Click the web clipboard icon and Copy shapes to web clipboard. Open another doc that you want to paste the drawing into. Click the web clipboard icon and hover to preview the available items -- then, click to paste when you’ve located the drawing you’d like to use. We’ve also made an improvement to tables that will be useful for Hebrew and Arabic users. If you’ve enabled right-to-left controls from your docs list settings, you’ll now have an option to create tables that are visually right-to-left. This means that the first cell in the table will be in the upper right and that tabbing through the table will move you to the left and down. 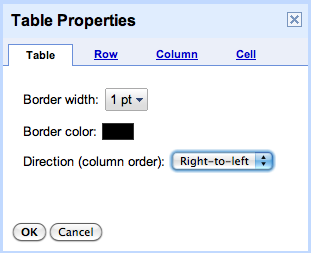 You can modify a table’s directionality from the table properties dialog. We hope you enjoy these new features. As always, let us know what you think in the forums and stay tuned for more updates in the next This week in Docs blog post. This week in Docs, we have a couple of new features that we hope make your life easier (and more visual). Read on.